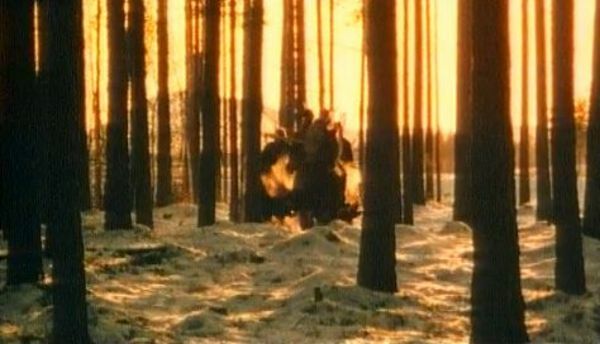 In December 1982, the band arrived in Sweden with director Meiert Avis to shoot a video for New Year's Day, first single from the their third album 'War'. The song, which made its 360 debut in Dublin a few days ago, was inspired by Lech Walesa, the leader of Solidarity, the trade union in Poland which helped bring down communism. That's one of my favorite song. I'm early 30s・・・I've seen New　Years day of video clip for the first time. I felt fresh andThat's so cool ! I can hardly wait to see the U2 360°tour ! I'm argentinian woman, but my grandfather on my mother's side was polish. This song is one of my favourite, I have got it for ringtone in my cel phone. And my birthsday is january 1st, so New year's day. What else can I say ? Amazing and hilarious story --back in the really old days of video/mime - so much change!The song just as poignant as the first time I heard it on first release! Have been following you guys for years now and am sooo excited about seeing you again at Wembley on 14/8. I think will have changed somewhat since the Joshua Tree tour I first saw you at :-)))) Everything you produce is MAGNIFIQUE!!! I'm actually 37... it means that it was one of the first video I watched in my life. Colours and scenery gave me an idea of epic: it was/it's like opening a book. Melody and lyrics, are in my opinion one of the must impressive about U2. This song, could be written in every year: it's having no age. I readed an interview to the Band on a special 'Uncut' publishing; Bono told it was particular for him, thinking that he was close to his marriage.. and Lech Walesa was not allowed to see his wife. Widely thinking about our time, I hope that also a proud Asian woman leader, will get the same success for her Country and her Freedom so like Walesa. This is a very special song for me in many ways, and one of the u2 master pieces indeed. Very cool video too, although it doesn't sound like it was much fun making it in the freezing cold. I will never forget when I first saw the video of "New Years Day" on MTV. I was mesmerized. The sound, the flow of the music, the look, and then I fell in love with U2. Its been a love affair that grew stronger and stronger thru the years. Now, I can't get enough. Ireland was a blast. Now I'm waiting for my 4 concerts in the states. Thank You, U2 for keeping the The Unforgetable Fire going. I Love you guys.